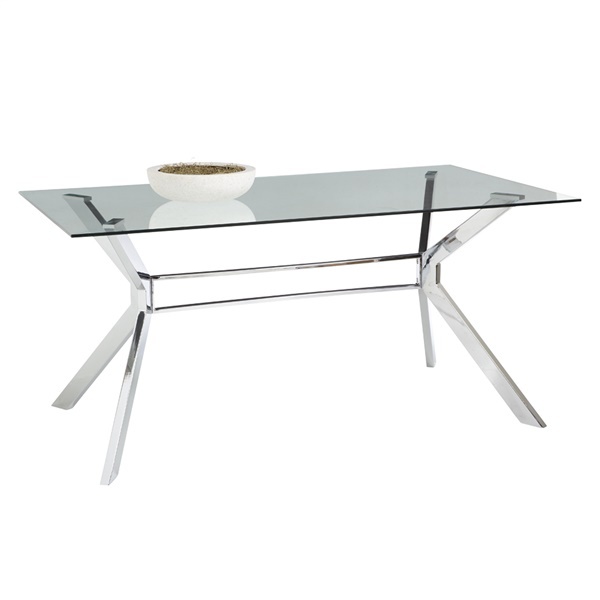 Add sophisticated shine to your dining area with the Sunpan Tista Dining Table. This beautiful table features a clean and sleek style that’s simple, yet eye-catching, and fits in with any number of decors. This table seats six, making it perfect for cozy dinners with family or intimate dinner parties with a few friends. Its top is crafted from tempered glass, ensuring that it’s both chic and durable. The base is crafted from stainless steel straps, artfully crafted into an appealing trestle, which can be seen through the glass top. Not only will this table delight dinner guests, its simplicity will allow your food and carefully chosen table décor to truly shine.